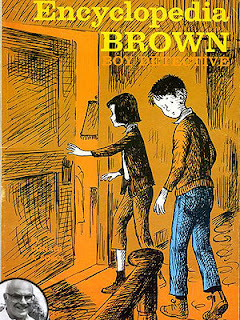 I loved the Encyclopedia Brown books when I was growing up. In fact, I just sent them to my cousin's gorgeous son, Xander, so he can enjoy solving mysteries too. Thanks, Mr Sobol, for creating such wonderful books and may you rest in peace.